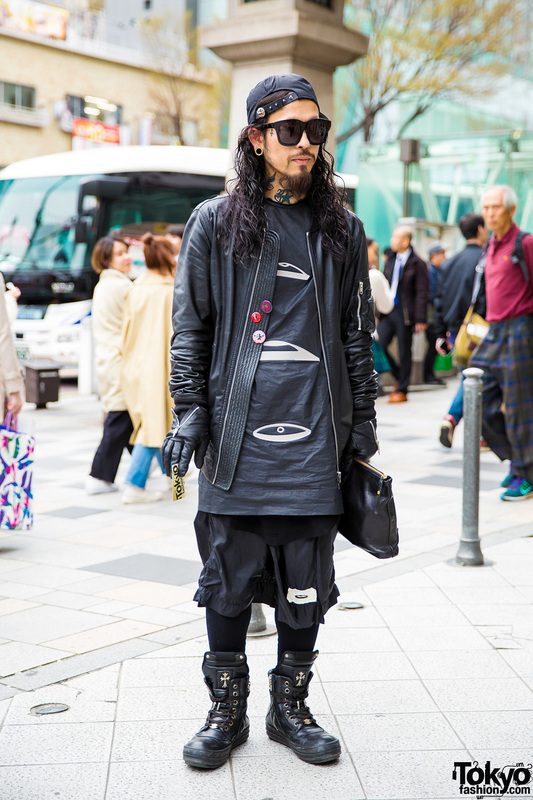 Japanese hair stylist clad in an all black leather streetwear style while out in the Harajuku street. 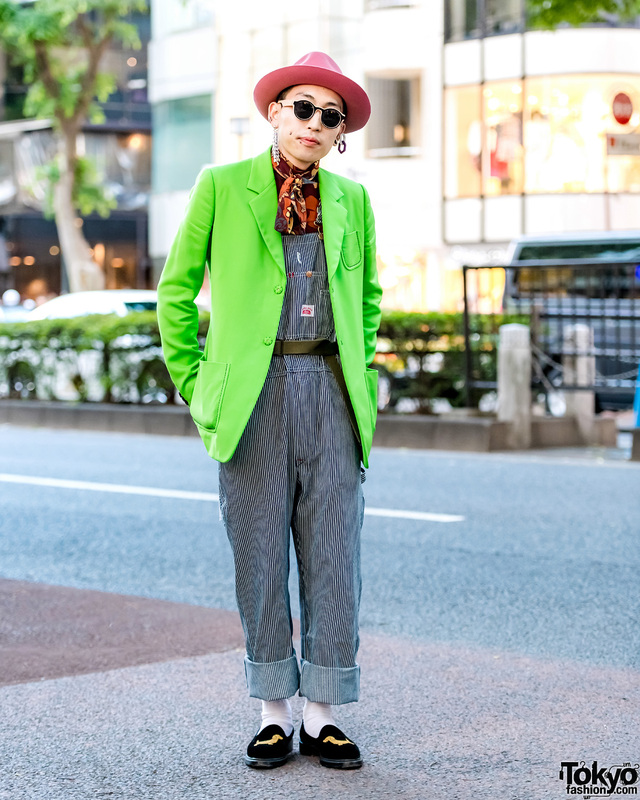 Mixed street styles in Harajuku by three girls while out and about on a tree-lined street. 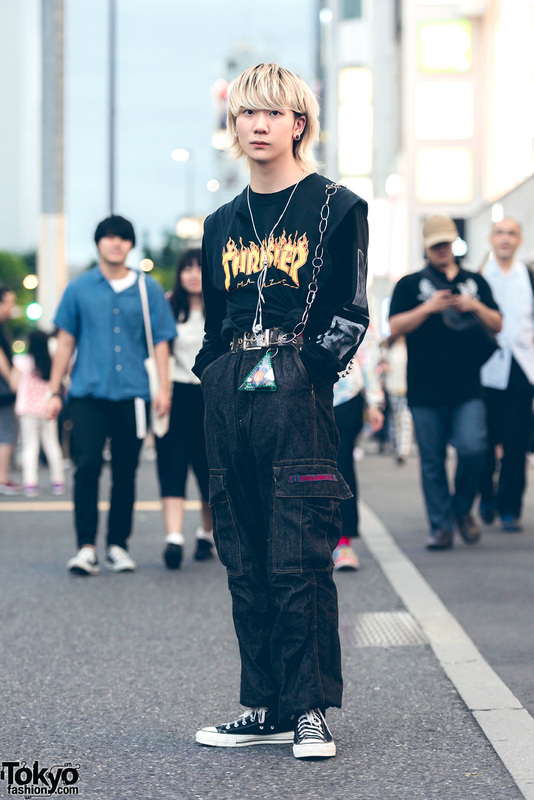 Harajuku shop staff in all black streetwear look with vest over sweatshirt, denim cargo pants, high top sneakers, and accessories. 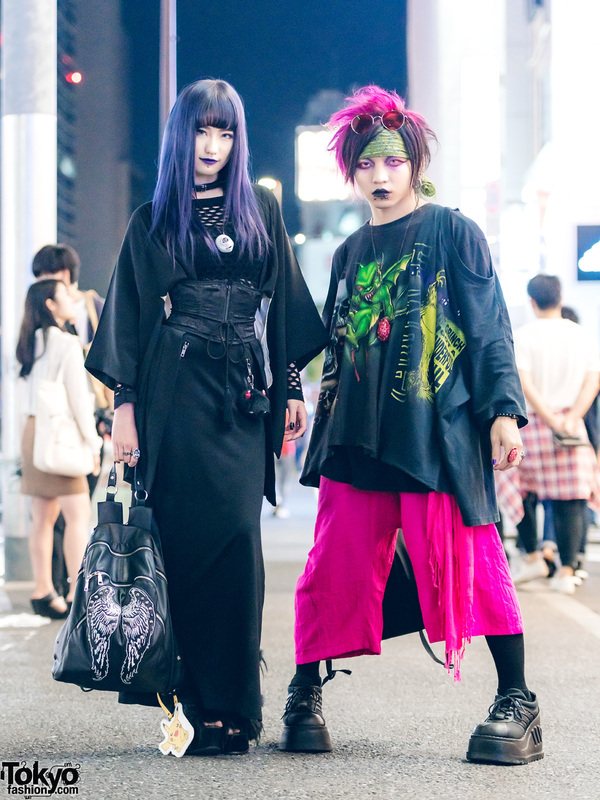 Japanede duo in dark streetwear looks while out and about the Harajuku street at night. 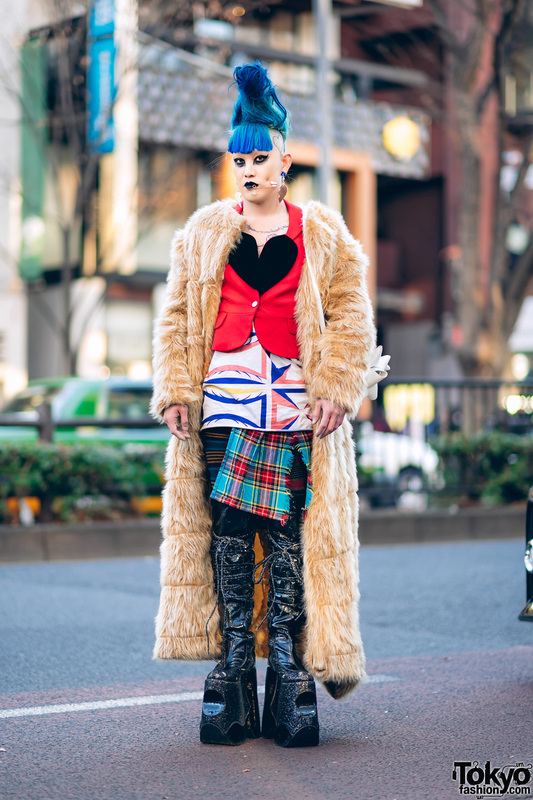 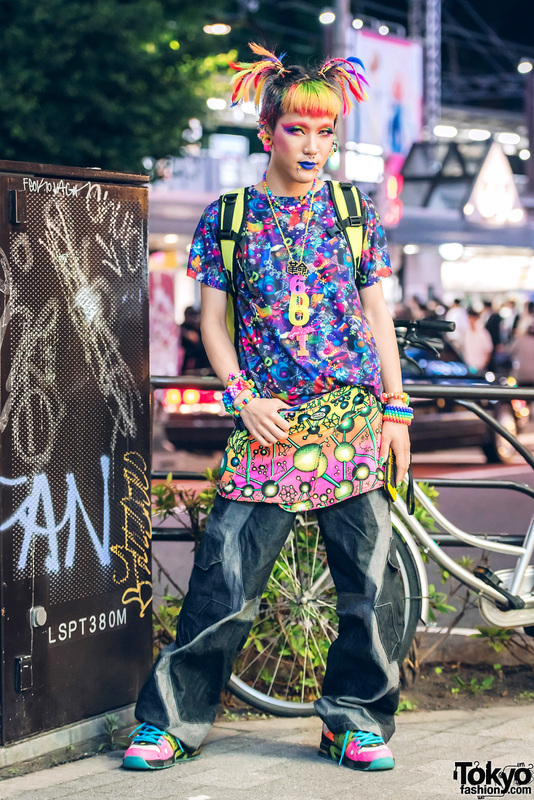 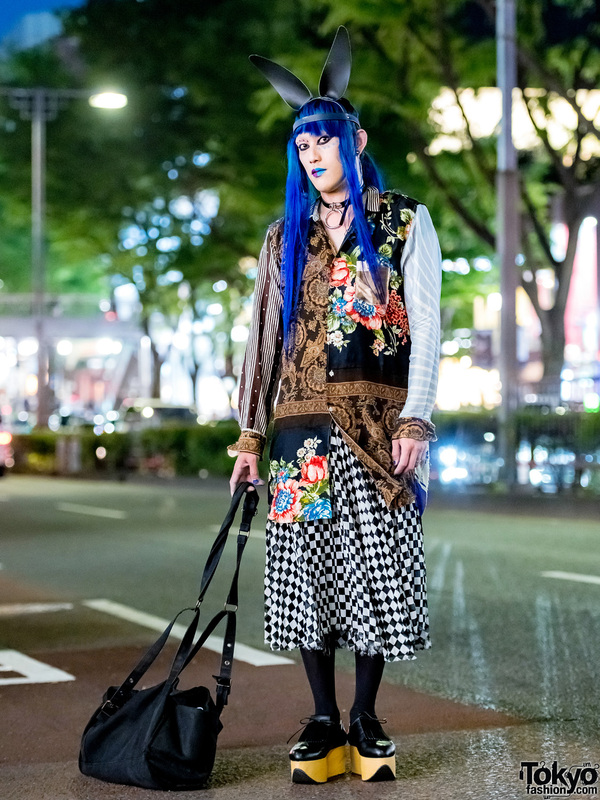 Harajuku guy in neon kawaii street style wearing a colorful 6%DOKIDOKI t-shirt, skirt over pants, colorblock sneakers, neon backpack, and candy kawaii accessories.